5 O’Clock Somewhere Beard Balm is the perfect blend to make you think about that tropical retreat you’ve been putting off. Lightly scented using coconut cream and lime premium essential oils, you’ll feel like you stepped right out of a Caribbean shower when wearing this scent. You’ll be beating the ladies back like Jimmy Buffet in his prime. 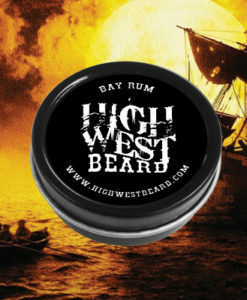 Imagine stepping into a tropical oasis where the scent lightly kisses your magnificent beard. The scent isn’t overwhelming but it’s just enough for you to imagine your toes in the sand with a drink in your hand. You put the lime in the coconut and you shake it all up. Perfect for anytime of year, whether you’re wishing the snow would go away or wishing you had a tropical drink in your hand. Shea Butter, Bees Wax, Apricot Kernel Oil, Argan Oil, Hemp Seed Oil, Jojoba Oil, Vitamin E, Grape Seed Oil, Sweet Almond Oil, Avocado Oil, Pumpkin Seed Oil, Tea Tree Oil. Scented With Coconut And Key Lime.